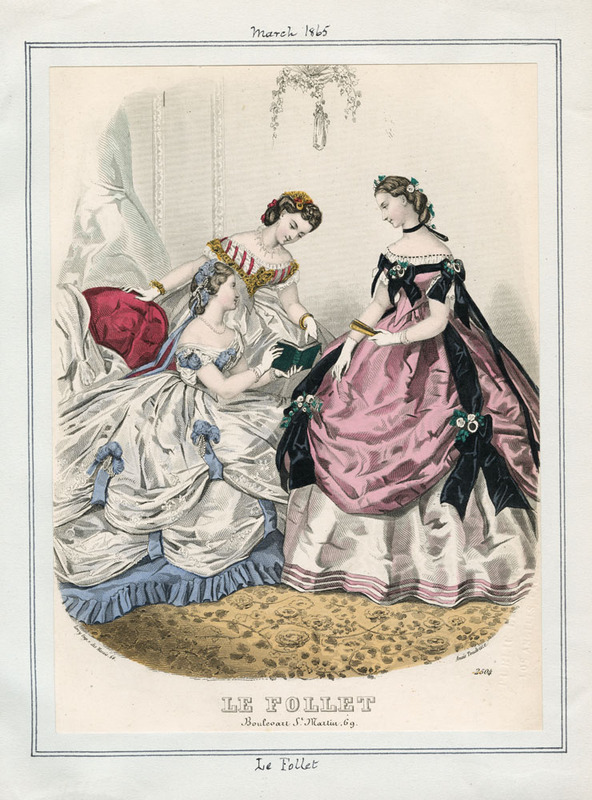 I really don’t get how women were able to move in those dresses, considering all the layers they had to wear under them. Thank you Meredith. I’m glad you like them. Well, B, it’s not easy. I’ve worn a corset and a crinoline before and it takes some practice to move around it. On the other hand, I didn’t grow up wearing one, so perhaps I’m not the best example. Your dolls are amazing!! I’ve spent ages going through your site. Just a quick question, how you have the magnetic dolls listed with their clothing pdfs, are you looking at doing that with the paper ones. I don’t want to miss any. 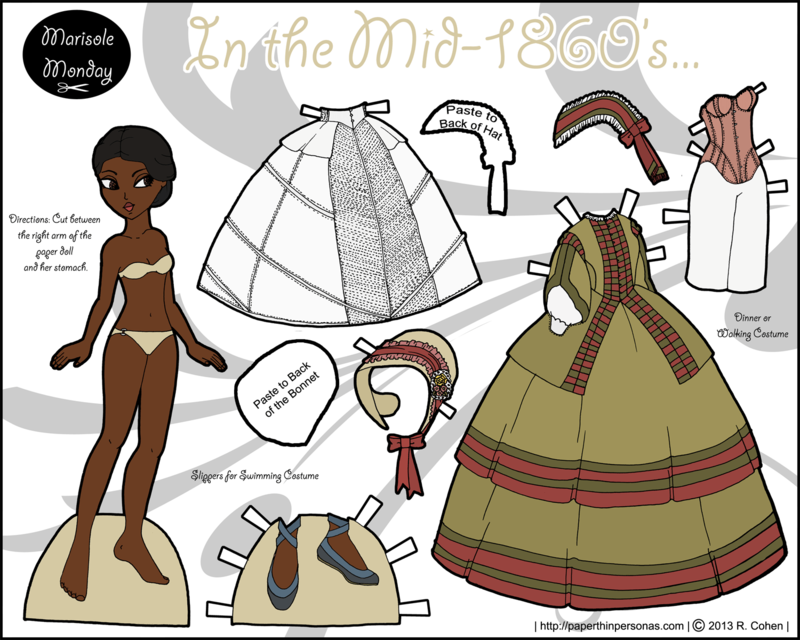 There are over 300 paper dolls on this site. Re-organizing them in the way I have the magnetic paper dolls set up would be an insurmountable task and not one I plan on tackling. 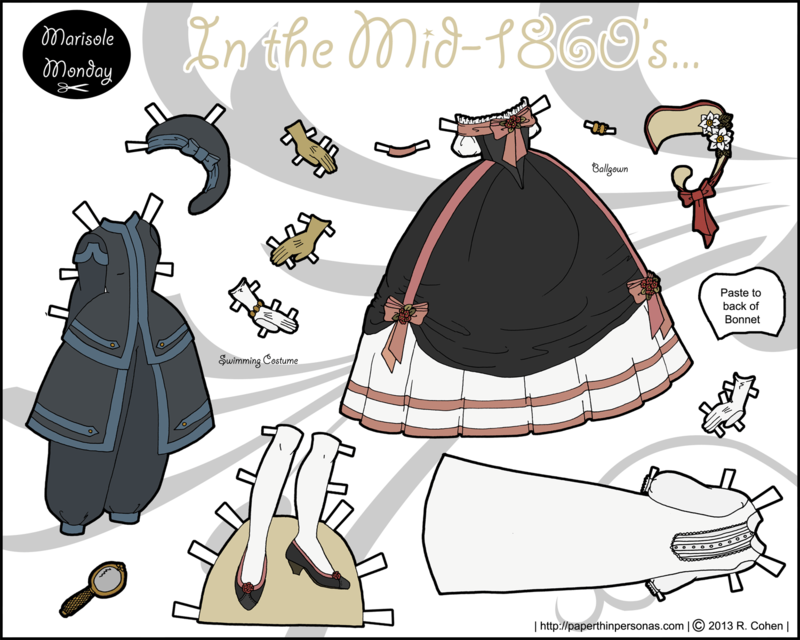 Every single paper doll can be seen through the printable paper doll index which organizes them by series. 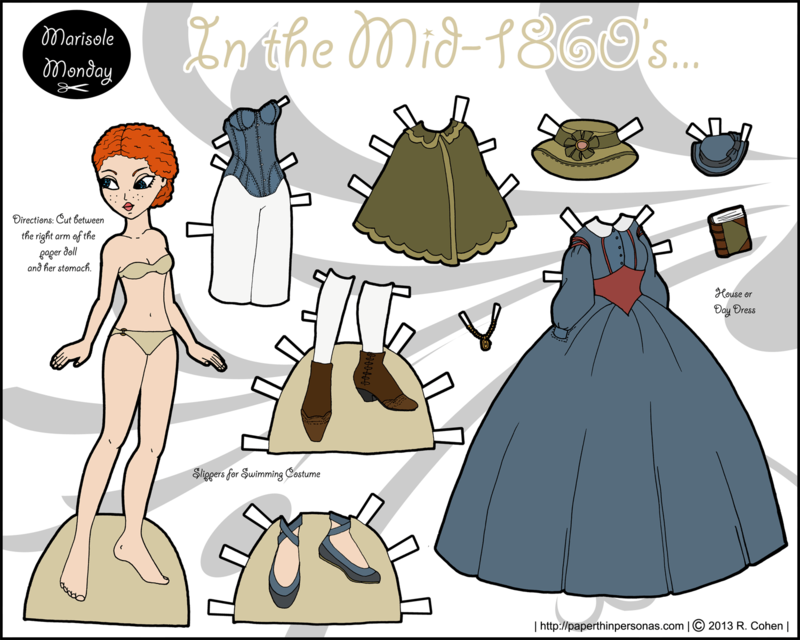 The red head was my first of your paper dolls!